If your kids see veggies and promptly declare their tummies full, this Kale Cauliflower Au Gratin recipe is an easy way to make sure they are getting their daily vegetable quota. It’s a rich and tasty variation to normal veggies. The two main ingredients as you might have guessed are kale and cauliflower. The au gratin part of the name is French for “with a browned crust”. The crust can be made with cheese, eggs, butter or bread crumbs. We’ll be using cheese in this recipe. You can enjoy the meal on its own as a snack or as a side dish. The first step is to blanch the kale and cauliflower. 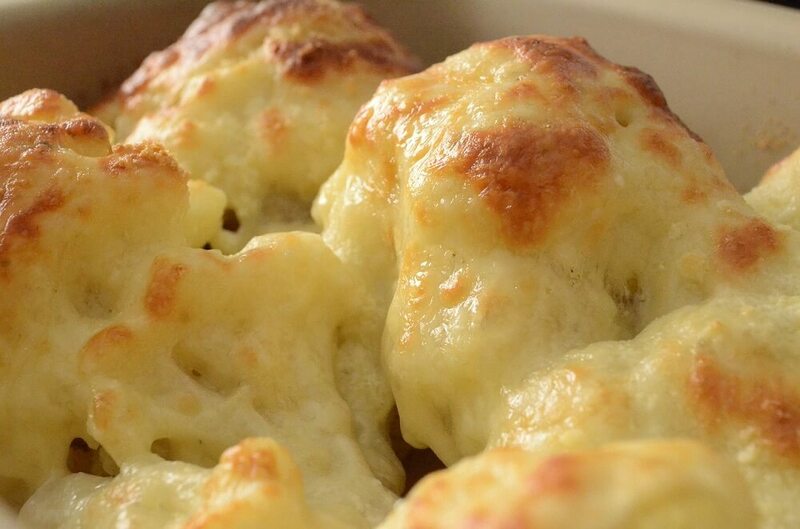 Boil cauliflower for 3 minutes. During the last minute, add shredded kale. Remove and dip the kale and cauliflower using a slotted spoon and immediately dip them in ice cold water to stop the cooking process. Make the roux by heating butter and flour together in a sauce pan. Stir until the mixture has a thick creamy consistency. Add the milk and keep stirring. Let the mixture simmer and thicken. Remove the mixture from the heat and add all your herbs and condiments. Then add the cheese (remember to retain ½ a cup of each for topping) and stir until the cheese has melted and you have a uniform mixture. Mix the cauliflower, kale and the thick mixture in a bowl then pour in a baking dish. Sprinkle the remaining cheese on top then bake for 35-45 minutes or until the cheese has formed a beautiful light brown crust on top.